On 5 April, in relation to the EIP-AHA B3 Action Group meeting, the SUNFRAIL project team held a seminar to present preliminary project results and good practices in the early identification of frailty and multimorbidity using the SUNFRAIL tool. The event in Brussels gathered almost 50 participants representing a wide range of regional offices and other stakeholders in health. After opening speeches from Filip Domanski, DG SANTE European Commission, and Maria Luisa Moro, director of Agenzia Sanitaria e Sociale Emilia-Romagna Region, the general SUNFRAIL project objectives and the SUNFRAIL Tool were presented. SUNFRAIL aims at 1) designing an innovative, integrated model for the prevention and management of frailty and care of multimorbidity; 2) validating the model: assess existing systems and services targeting frailty and multimorbidity; 3) assessing the potential for the adoption/replication and sustainability of the model in different organizational contexts; 4) development of educational tool kit for healthcare professionals, and 5) promoting the dissemination of the results. Subsequently, the SUNFRAIL Tool was presented. The tool consists of a questionnaire, containing nine questions addressing both the biophysical, psychological and socio-economic aspects of frailty. The SUNFRAIL tool was presented alongside the process of verification of its applicability in the current professional practice, its understandability by the older subjects and the process of generating an alert and possible care pathways. 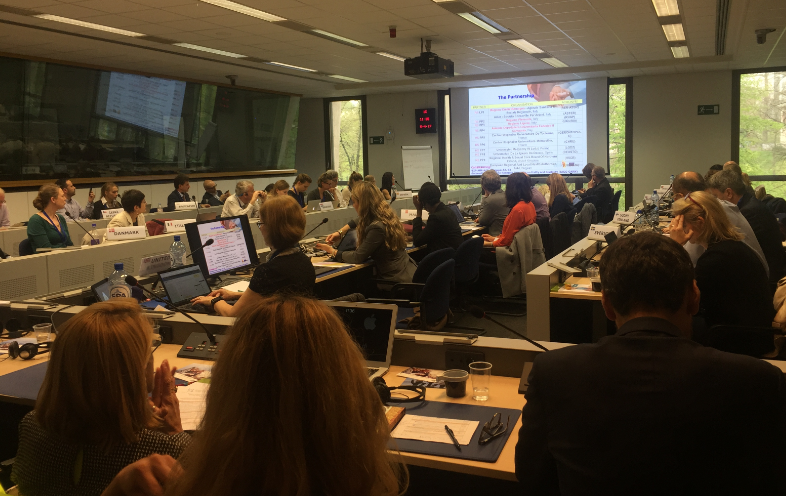 During the second part of the event, project partners, who are also Reference Sites in the EIP-AHA, presented good practices in early identification of frailty and multimorbidity. The region of Piedmont (IT) presented an advanced learning program for Family and Community Nurses (together with CONSENSO project), a successful attempt to scale up the practice. A good practice identified in Southern HSC Trust in Northern Ireland (UK) is Acute Care at Home Service, which is a consultant-led community service for acute, non-critical care in community setting. Emilia-Romagna region (IT) presented a predictive model to classify patients by risk profile (high risk of hospitalisation and frailty) and ways to take care of them. PERSSILAA project about personalised ICT supported services for independent living and active ageing was showcased by a representative from Campania Region (IT). The Medical University of Lodz (PL) presented the Vulnerable Elders Survey (VES-13) as a screening tool for comprehensive geriatric assessment. Centre Hospitalier Universitaire of Montpellier (FR) introduced to the audience Allergy Diary focusing on the implementation of multi-sectoral care pathways using emerging technologies with real world data, for individualized and predictive medicine stressing the importance of self-care in rhinitis and asthma multimorbidity. Soo Hun, Southern HSC Trust in Northern Ireland (UK) and Arnaud Senn, DG CNECT European Commission, thanked the participants and concluded the event. To read more about each good practice, please follow the links in the article.